‘Painting the tales’ is my touring exhibition of book cover work commissioned by the History press for their Folk tales and Ghost tales series of books. 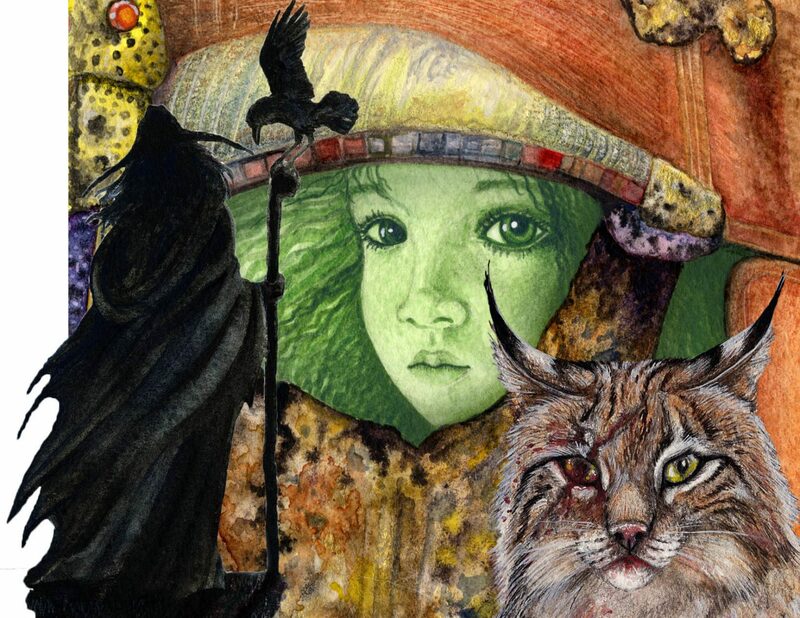 The Folk tales series covers every county of The U.K. And Ireland. And is still ongoing at this point, so new work is being added all the time, I also tailor the works on show to broadly reflect the region I am showing in. Painting the Tales is now also a book featuring 84 of my best book covers with accompanying text that gives an insight into my process and the stories themselves. This exhibition is a little different from most in that it usually includes performances by the storytellers who wrote the books featured, and also often music and a talk by me about my working process on selected days. The Folk tales books are also available to buy and can be signed by me and authors present. I can also offer one or more of my story based print or mixed media workshops during the course of the exhibition.